Want a free drink here? Don't let the rain put a damper on your alcoholic tenancies. 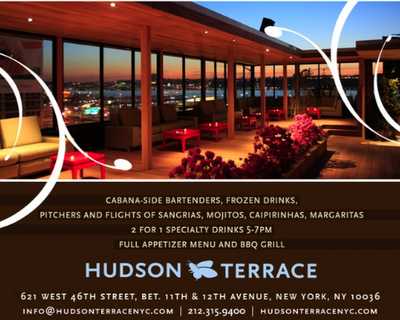 Send your name to info@hudsonterracenyc.com and you'll be treated to a free drink when you swing by Hudson Terrace tonight. Sweeping city views and alcohol are a deadly mix. We'll see you there! Click the flyer below for more details about weekly events at this summer hot spot. 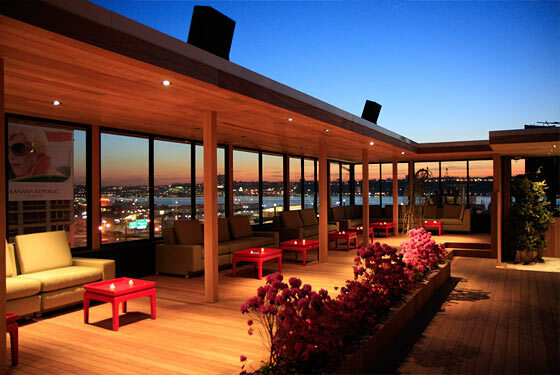 I went to the cinco party at Hudson Terrace last night and it was THE most fun event. The Real Housewives of NYC were there (reason enough) but the DJ was the sickest DJ i've heard in a long time. It was a little low on "Cinco" festivities but no big deal, it was still a great party. glad you had fun joe!